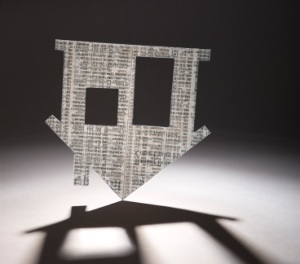 Investors’ share of new mortgage lending dropped again in May although the amounts loaned were up, new Reserve Bank lending data reveals. It is ever more apparent that the latest investor-focused LVRs, along with tighter lending conditions on the part of banks, have knocked a considerable number of investors out of the housing market. The Reserve Bank’s May latest residential mortgage lending data provides further evidence of this. It shows that total new lending in May came in at $6.036 billion, which was a noticeable increase from April’s total of $4.558 billion. Investors were responsible for $1.490 billion of the total lending in May which, again, was up on the $1.143 billion they borrowed in April. This means that investors’ share of lending amounted to around 24.5% of the May total. However, this reflects an ongoing decline in investors’ share of total lending. In April, investors’ share of total lending was around 26%. While it has hovered around this level over recent months, it is well down from the peak of 38% in June 2016. In contrast, other owner-occupiers, who borrowed $3.360 billion, accounted for a share of around 60% of total lending in May. First home buyers were responsible for $849 million of May’s total lending. This equated to around a 14% share of the total, similar to that of recent months. Meanwhile, higher than 80% LVR lending was up across the board in May, with investors accounting for $11 million of it. This amount remains significantly lower than it has been in the past. Back in June 2016, higher than 80% LVR lending to investors came in at $50 million. Overall, higher than 80% LVR lending amounted to $379 million of the $6.036 billion total. Interest-only lending, which has traditionally been popular with investors, increased to $2.006 billion in May from $1.519 billion in April. Investors were responsible for $737 million of the interest-only lending total in May, which was up from $568 million in April. 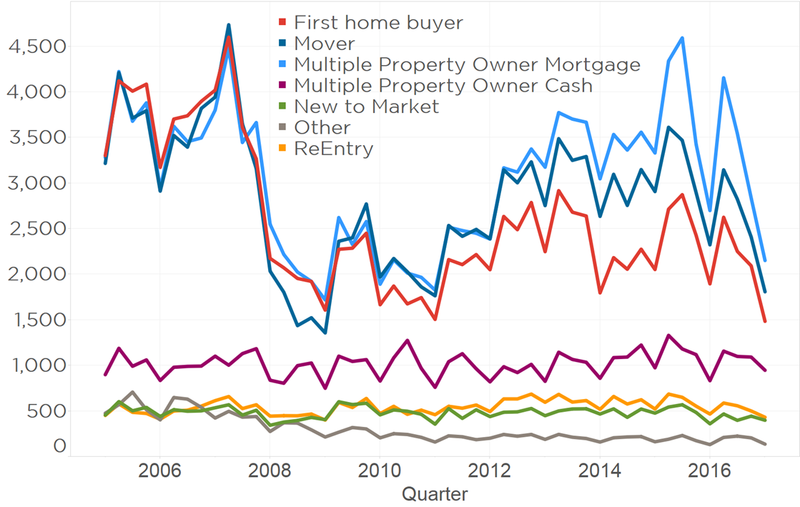 The Reserve Bank’s data might tell a tale of declining investor lending, but a new report from CoreLogic presents a more complex story. CoreLogic’s report analyses the activity of different buyer types in the current market and it shows that the share of investors buying properties has increased in the second quarter. However, that share is not made up of investors who need a mortgage. Buying activity by such investors has dropped off, along with that of first home buyers. Rather it is investors who are cash-buyers that have pushed the “multiple property owner” category up to a 38% share of all buyers. This suggests that investor demand remains but is being held firmly in check by the current lending requirements. You can hear what CoreLogic head of research Jonno Ingerson has to say about the market here.